You'll love this warm, beautifully updated Klahanie home. 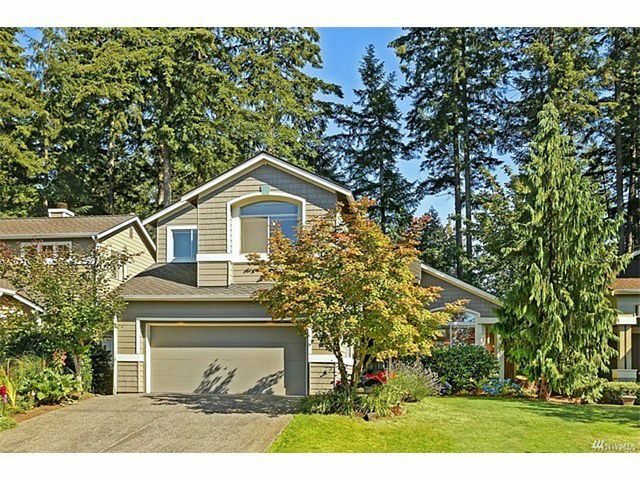 Light & bright open floor plan w/soaring ceilings & skylights. Gorgeous wide plank hardwoods. Kitchen has newer countertops, breakfast bar & lots of cabinets. Spacious family rm features built-in bookcase and brick surround fireplace. Retreat to master suite w/ 5 pc bath and walk-in closest. Private, fully fenced backyard w/ trex deck and patio that backs to greenbelt - great for entertaining. Issaquah Schls. Close to pool/parks/shopping.